A drug offender who was caught with £100 worth of cannabis has been ordered to pay over £1,000 in court charges and costs. 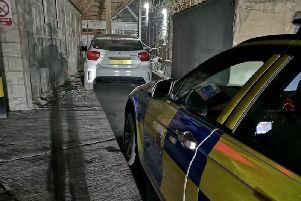 Derby Crown Court heard this month how Matthew Holmes, 27, of Fairfield Road, Buxton, was stopped by police while he was driving his car. Prosecuting barrister Clive Stockwell told the hearing: “He was stopped and searched by police and was found with 15grammes of cannabis worth £100. Holmes, who has previous convictions, was arrested in April and was originally charged with possessing cannabis with intent to supply which he denied. This charge was withdrawn by the court after the court agreed to accept Holmes’ guilty plea to simply possessing cannabis. Mr Stockwell, prosecuting, explained that the costs of the court case had become inflated after the supply case had originally been committed from magistrates’ court to crown court. But Sonal Ahya, defending, said if Holmes had originally been charged only with simple possession the case would have stayed at a magistrates’ court and would have been dealt with at a magistrates’ court. Recorder Wigoder, who noted that Holmes is now beginning to have a record for possessing cannabis, sentenced Holmes to a 12 month community order with 100 hours of unpaid work. Holmes was also ordered to pay a £900 courts charge, £100 costs and a £60 victim surcharge.